One term that you see thrown around frequently when discussing tournament poker strategy is effective stack sizes. And while some beginners initially dismiss the phrase as mere poker lingo, effective stack size is actually a pretty useful concept. 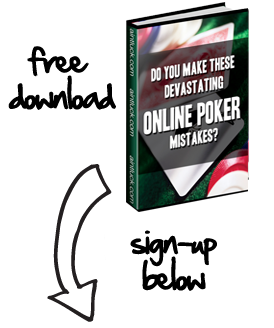 So let’s take a look at what exactly this term means, as well as how you can apply it to online poker. What are Effective Stack Sizes? When two players are in a hand, effective stack sizes refers to the most chips that a player can wager based on their opponent’s stack. The “effective” part comes in when speaking of the smallest stack because this is effectively the most that the bigger stack can bet. For example, if Player 1 has 600 chips and Player 2 had 1,200 chips, the effective stack size for both players is 600. The best place where you can employ the effective stack sizes concept is when you’re playing a hand for implied value. For example, if you want to play a pair of 5’s purely for their set potential, stack sizes are 4,000 (you) vs. 1,000 (opponent), and the call is 200 chips, this is a poor call for you to make. The reason why is because you only have an 8:1 chance of hitting the set, and you’re getting just 5:1 pot odds if you hit the set (1,000 effective stack/200-chip call). Besides using effective stack sizes to determine when and when not to make calls, you can also use effective stack sizes to decide when pushing all-in is profitable. For example, if you only have 30 big blinds left, but the effective stack has just 8 big blinds left, you would really only be raising 8 big blinds rather than shoving your entire stack. In the end, effective stack size is very useful for making smart decisions when you’re the bigger stack in a two-player pot.